A FOUR DOUBLE BEDROOM townhouse situated in the sought after West Thamesmead area with a garage en bloc to the rear of the property. The property offers versatile and spacious living accommodation set over 3 floors. Ideally situated for schools, bus routes, the River Thames, open parkland and shops. *** INVESTORS ONLY *** A 2 BEDROOM 2 BATHROOM 4TH FLOOR APARTMENT OVERLOOKING THE RIVER THAMES! PRIVATE BALCONY, 24 HOUR CONCIERGE, SECURE PARKING, CONVENIENTLY SITUATED FOR TRANSPORT LINKS, TENANTS IN CONTRACT UNTIL JULY 2019 PAYING £1200PCM, VIEWING HIGHLY HIGHLY RECOMMENDED. A SPACIOUS 3 BEDROOM END OF TERRACE FAMILY TOWNHOUSE OFFERING SPACIOUS LIVING ACCOMMODATION WITH POTENTIAL TO CONVERT INTO 4 BEDROOMS, DOUBLE WIDTH INTEGRAL GARAGE, QUIET CUL DE SAC POSITION BACKING ONTO PARKLAND, WALKING DISTANCE TO ABBEY WOOD STATION, EARLY VIEWING RECOMMENDED! A lovely two bedroom mid terrace house for sale. 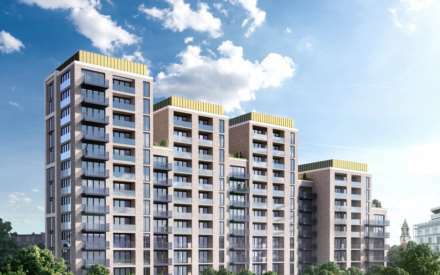 Ideally situated in the ever popular West Thamesmead area right on the border of the Royal Arsenal development in a quiet cul de sac position, conveniently located for bus routes and a short walk through the Royal Arsenal into Woolwich rail and DLR. 3 BED TERRACED HOUSE IN NEED OF UPDATING, CHAIN FREE, GAS CENTRAL HEATING & DOUBLE GLAZING, OFF STREET PARKING FOR 2 CARS, GARAGE TO REAR, BACK GARDEN, CLOSE TO LOCAL AMENITIES, SCHOOL AND TRANSPORT.